I have a limited amount of copies of Different Is Beautiful and Murder Inc. I am selling them at a discounted price and a portion of the money will go to charity. Alex Bennett led a double life. She was known the world over as the highly successful founder of a toy software company. But she was also the head of the infamous Murder, Inc. A situation she didn’t want but felt an obligation to fulfill until she met the lovely Patty Darcy and suddenly she wanted to just be the head of Toy Software. Now she had something to fight for. Will the love of the sweet woman help her get out from under the weight of family obligations? Will she be able to share a life with this good woman? 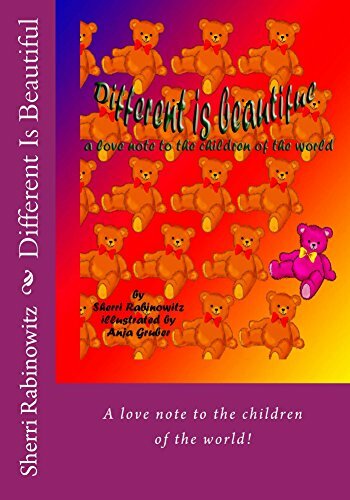 Sherri Rabinowitz and Anja Gruber has found a unique way to encourage self-esteem in little ones while helping them develop a sense of appreciation and respect for everyone and everything in the world around them. I only knew one of the nine short stories in this anthology, The Mystery of The Spanish Chest which I had read in another anthology of Poirot stories. I am not horror person so I was a not a fan of those but I thought The Actress was really clever, I liked it. The House of Dreams was utterly heartbreaking. I loved The Lonely God! So sweet. Manx Gold was a lot of fun, I love that she created a real life treasure hunt, and created a story full of clues, see if you can guess where everything is before you get to the end where all the explanations are, I couldn’t. Within a Wall was also heartbreaking. I adore Harley Quinn so I was delighted to find I had never read this story, and it is really sweet and a bit scary, just like Mr. Quinn himself. This is about the third time I read her autobiography and it is interesting that I pluck new things out of it each time. This time I recognized two characters from one of my favorite books that I just kind of glossed over the last time. Also I really enjoyed her view of travel and the middle east. It makes me sort of sad because some of those very sites, that her husband worked so hard on were destroyed recently. And she brings all the beauty and people of the region to life for the reader. As your read her novels you see her grow and change with her experiences, and as you read her autobiography you see where that growth came from. Sherri’s Playhouse and Chatting With Sherri are really busy right now! Coming up on Chatting With Sherri! TJ Scott, Chris York, Michele Brittany; Tweets earned 17,938 impressions over the last week! The Theif’s Tale is come upon us very fast! Due to tech difficulties, The Thief’s Tale has been delayed, I am very sorry for the inconvenience. I am so excited that on Chatting With Sherri we welcome back TV director TJ Scott on 8/23/18 at 8pm pt; http://tobtr.com/10936871He is such a fun guest full of new and fascinating info on his upcoming shows! my fascinating guests on Chatting With Sherri; Adam-Michael James and Chris York about Bewitched, Hudson Leick, Kate Lister! I really enjoyed this thoughtful closing to a wonderful series. The author who has been a guest on my show and is truly an expert on Bewitched and describes the universe of Samantha and Darrin beautifully. He has created a wonderful two-part ending of the series. He brings back a lot of favorites and delightfully explains anything that the fans might have had questions on through the years of the show. I have loved Bewitched since I was a tiny little girl and I still love it, it’s a definite must for any Bewitched fan. Books, radio plays and Chatting With Sherri! Chatting With Sherri welcomed actress, singer and presenter; Kate Lister! We had such a great time. We are now in the midst of rehearsing for an amazing radio play; THE THIEF’S TALE by Lee Murray. Adapted for audio production by Dan Rabarts. I can’t wait for you to see it next month. I still have two amazing radio plays coming up and could use some heavy lifting. No pay but a lot of exposure and you get to meet people from all over via our rehearsals. We rehearse on Skype and perform on my Blogtalk platform. It is a lot of fun and we get to act in some truly amazing plays. We do the radio plays live, it’s a high wire act like live TV back in the day, so if you want to do something completely different, get in touch with me. Casting for radio actors for Sherri’s Playhouse, I have three plays coming up and could use some heavy lifting. No pay but a lot of exposure and you get to meet people from all over via our rehearsals. We rehearse on Skype and perform on my Blogtalk platform. It is a lot of fun and we get to act in some truly amazing plays. We do the radio plays live, it’s a high wire act like live TV back in the day, so if you want to do something completely different, get in touch with me. Your Tweets earned 5,594 impressions over the last week are; Brittney Powell and Tom Konkle about Trouble Is My Business, Fiona Eagger and Deb Cox the producer of Miss Fisher Murder Mysteries, photographer Ian L Sitren and Steven L Sears and Kevin J Anderson about their joint venture STALAG-X! Find out how you can win a free audio book! 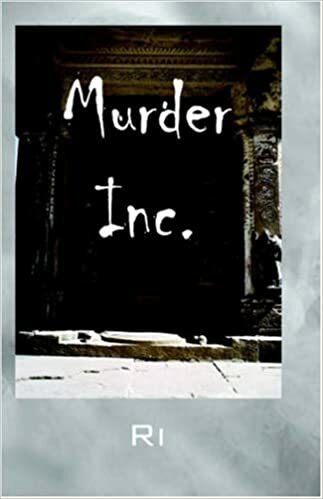 This books is so different, I had no idea who the murderer was, it was a complete turn around from the TV show starring Diana Rigg. I really enjoyed it. I don’t want to give anything away so I will just say its an excellent read and Gladys Mitchell deserved every accolade she had received.